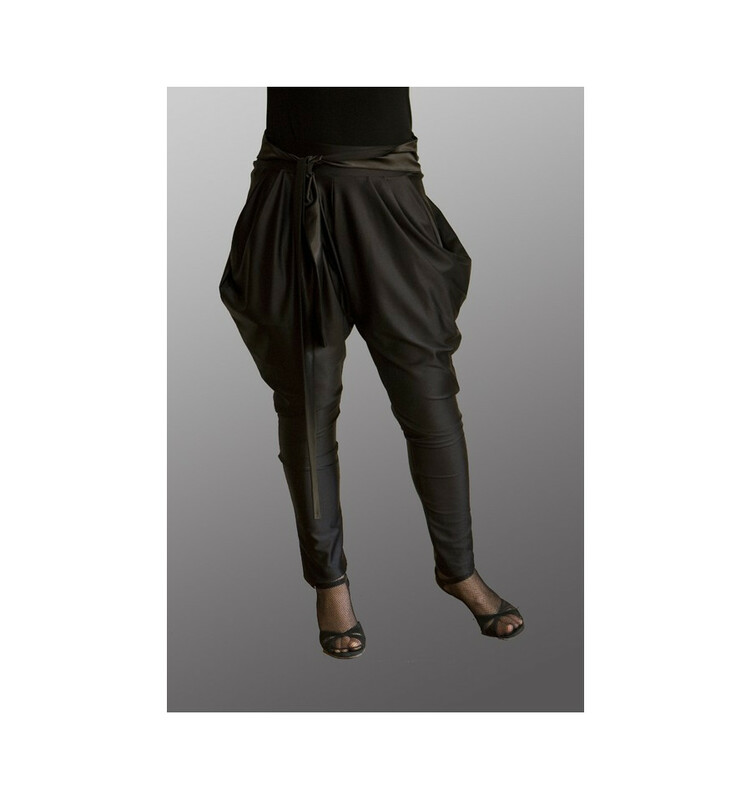 These trousers are inspired by the traditional harem dance pants. They are wide like a skirt at the hips and thighs, becoming tighter at the knees, producing an elegant silhouette. The trousers are ideal for dancing Tango, as the dancer’s high heels won’t get caught up in the fabric, which is the drawback with traditional harem trousers. The elastic waist is ringed by an elegant satin belt, providing a cool accessory on the hips. These dancing trousers are very comfortable to wear, giving an air of extravagance. Beim Tanzen fühle ich mich ausserdem ausgesprochen wohl in der Hose . Ich stehe normalerweise auf schlichter Eleganz! aber warum nicht mal etwas extravagant....hab ich meinem Freund zu verdanken!